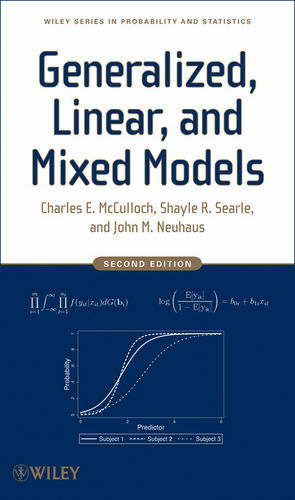 Generalized, Linear, and Mixed Models, Second Edition provides an up-to-date treatment of the essential techniques for developing and applying a wide variety of statistical models. 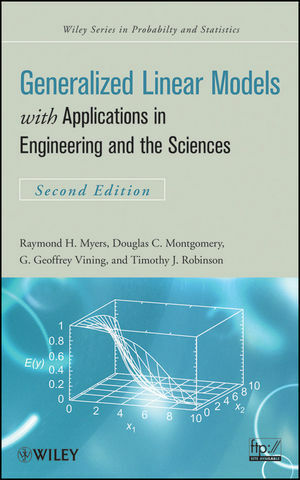 The book presents thorough and unified coverage of the theory behind generalized, linear, and mixed models and highlights their similarities and differences in various construction, application, and computational aspects. 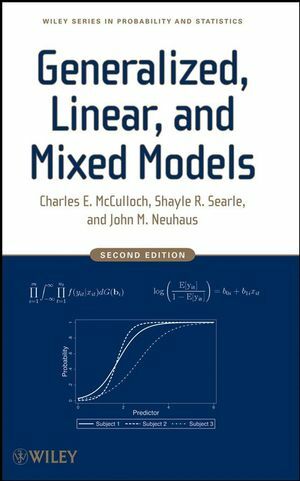 With its accessible style and wealth of illustrative exercises, Generalized, Linear, and Mixed Models, Second Edition is an ideal book for courses on generalized linear and mixed models at the upper-undergraduate and beginning-graduate levels. It also serves as a valuable reference for applied statisticians, industrial practitioners, and researchers. Charles E. McCulloch, PhD, is Professor and Head of the Division of Biostatistics in the School of Medicine at the University of California, San Francisco. A Fellow of the American Statistical Association, Dr. McCulloch is the author of numerous published articles in the areas of longitudinal data analysis, generalized linear mixed models, and latent class models and their applications. Shayle R. Searle, PhD, is Professor Emeritus in the Department of Biological Statistics and Computational Biology at Cornell University. 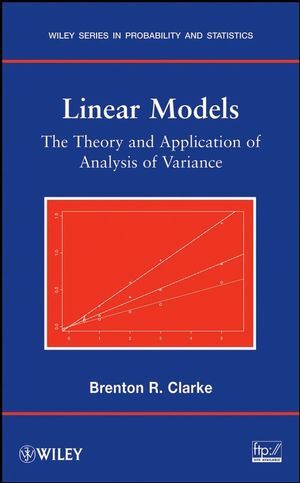 Dr. Searle is the author of Linear Models, Linear Models for Unbalanced Data, Matrix Algebra Useful for Statistics, and Variance Components, all published by Wiley. John M. Neuhaus, PhD, is Professor of Biostatistics in the School of Medicine at the University of California, San Francisco. A Fellow of the American Statistical Association and the Royal Statistical Society, Dr. Neuhaus has authored or coauthored numerous journal articles on statistical methods for analyzing correlated response data and assessments on the effects of statistical model misspecification. 3.7 Bernoulli - Logistic Regression. 3.8 Bernoulli - Logistic With Random Intercepts. 4.9 Comments On The 1- And 2-Way Classifications. 4.11 T-Tests And Confidence Intervals. 8.8 Models For Non-Normal Responses. 14.4 Penalized Quasi-Likelihood And Laplace. A new chapter, "Departures from Assumptions", has been added. Sections within the chapter include the following topics: omitted covariates, incorrect random effects distribution, correlation of covariates and random effects, and robust variance estimator, among others. 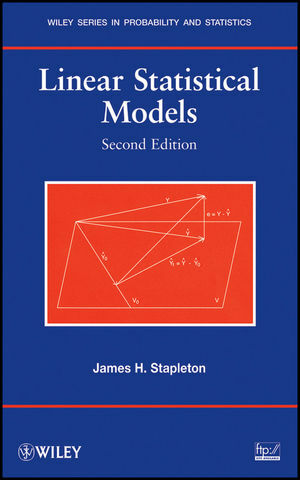 A second new chapter, "Models for Multivariate Responses" has also been added, and provides the following topical sections: shared random effects models, latent class models, and properties of models. The section of marginal versus conditional models has been greatly expanded. Numerous new examples have been added and existing examples have been updated. The second edition has been completely updated and revised to reflect new developments in the field. Models for non-normal data, i.e. binary or count data, and generalized linear and nonlinear models are described and illustrated. The chapter on longitudinal data has been completely revised. 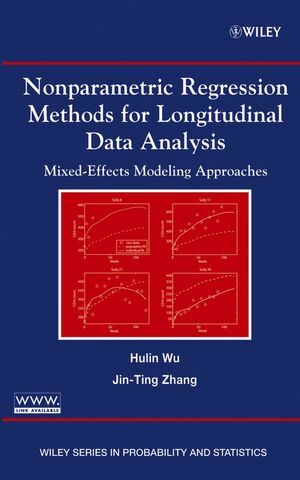 While this chapter in the first edition focused primarily on Gaussian linear models, the second edition has been updated to include generalized linear models, modern advances in longitudinal data analysis, as well as the use between and within covariate decompositions.